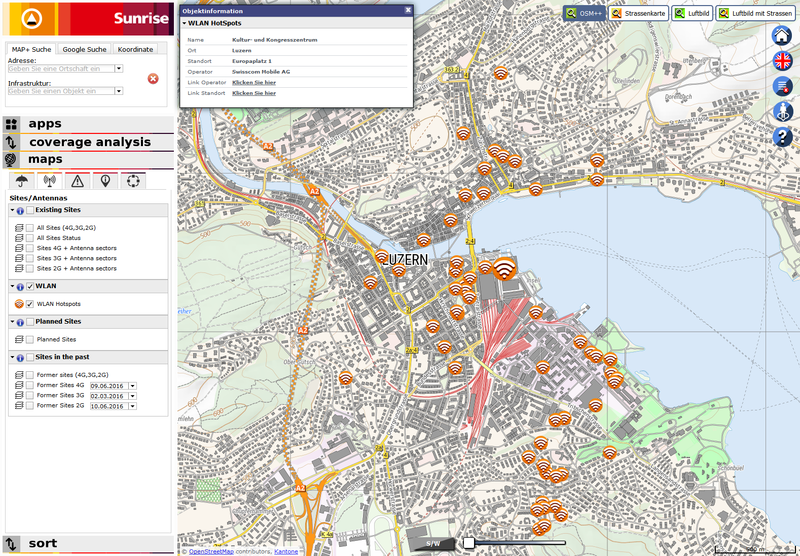 The Sunrise Progress Tracking System (PTS) is a Web GIS for the intranet and extranet that delivers information about the current status and availability of various technologies in wireless and landline networks. 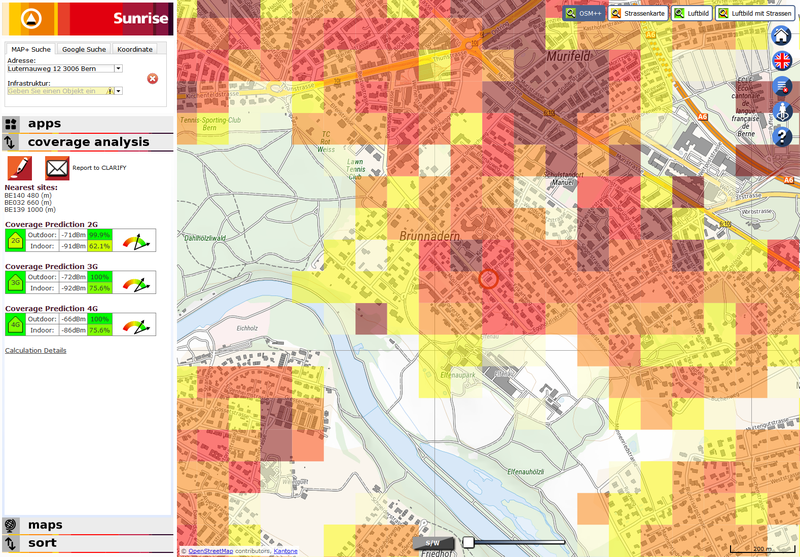 The Web GIS is used by employees in call centers, in shops, or in maintenance and documentation. Sunrise PTS is more than a simple publication system. It also serves the detection of vulnerabilities and the planning of network optimization. Supplemental information such as population, construction zones, public transport stops, etc. Users can search through all addresses of the country (GeoPost) and for all streets (OSM). As a search engine, Apache Lucene Solr was used. For every found location, the network coverage for 2G, 3G and 4G is shown.